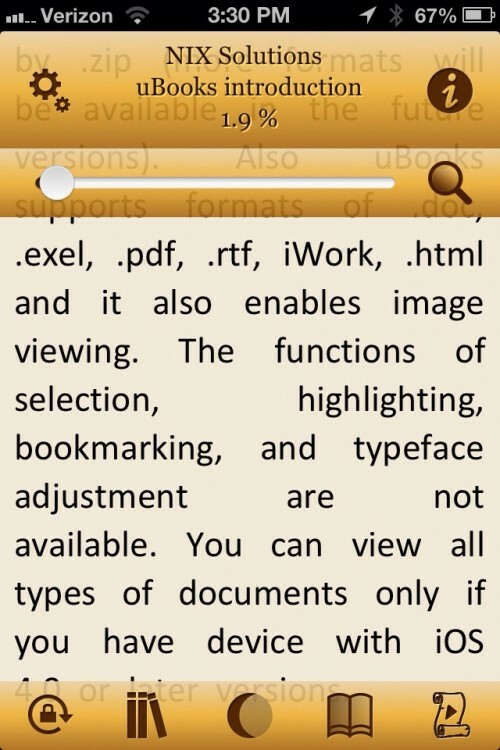 This is uBooks on the smaller iPhone screen. Here you can see the hideous default color scheme which I didn’t bother changing on my iPhone. You can also see the large gaps between words from having fully justified text. Everything else is very similar to the iPad screen, except the bottom toolbar adds a rotation button, and the brightness and text controls are removed.